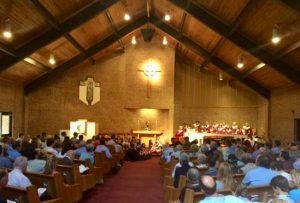 Cary Presbyterian Church PC(USA) – We choose welcome! Sunday School isn't just for children at Cary Presbyterian Church. Adult classes, weeknight Bible study opportunities, and summer Vacation Bible School all contribute to faith formation. Worship is central to our faith as Christians. Sunday morning worship is a time for us to gather as one for prayer and praise. We have two Sunday morning worship services, at 8:30 and 11 a.m. The last Sunday of each month has a single, All Together worship service at 11 a.m. Please find out more about worship at Cary Presbyterian Church in the Worship section of our main menu. See recent worship bulletins here. Audio versions of our worship services are available as podcasts at this link. Click the PNC Update link here, or on the header at the top of this page for the latest information from your Pastor Nominating Committee, an overview of the process, and a group of Frequently Asked Questions. The next CPC Blood Drive with The Blood Connection will be Wednesday, May 1 from 2 to 7 pm in the Fellowship Hall. Visit the Blood Drive page here on the website for the mose recent details. See a complete listing of events on our Google Calendar here. Catch up on the latest news through our newsletter, the E-Link. The CPC 2018 Annual Report may be found at this link. Follow Cary Presbyterian Church on Facebook at our page here. Walk to Jerusalem, our brochure of Lenten Practices and Opportunities for 2019, may be accessed at this link. The complete packet of information about spiritual and physical Walk to Jerusalem participation can be found at this link. The form for tracking your personal Walk to Jerusalem mileage is found at this link.